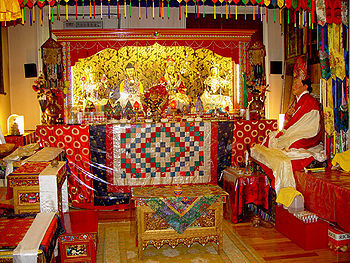 Yeshe Nyingpo, located in New York City, USA, was established in 1976 by Dudjom Rinpoche and since that time has served as a base for the spreading of the Nyingma tradition and of the Dudjom Tersar lineage throughout North America. Since the passing of his father, Shenphen Dawa Rinpoche oversees the center and periodically offers teachings and empowerments. This page was last edited on 28 May 2014, at 09:10.